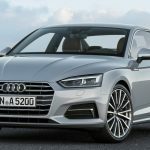 The A5 is all new for 2018, and that includes updates to the powertrain, suspension, interior, and exterior similar to those that made their debut on the redesigned A4 sedan for 2017. Active safety features such as automated emergency braking, adaptive cruise control with full-speed range, and traffic-jam assistance join the lineup, as does a modernized infotainment system. All A5s are equipped with the same 252-hp turbocharged 2.0-liter four-cylinder and Quattro all-wheel drive, but buyers can choose between a six-speed manual (our pick) and a seven-speed dual-clutch automatic transmission at no extra charge. If you are a customer from a NON European Union wanting to export a used VAT Qualifying vehicle outside of the EU, then there is possibility for you to claim back the VAT on all VAT Qualifying invoiced vehicles. We have a great collection of used VAT qualifying vehicles in our stock which you can take a look at. Can't Find Your Favorite Car? Please add +447772080406 to your phone to get connected.